Summer weddings are so much fun! 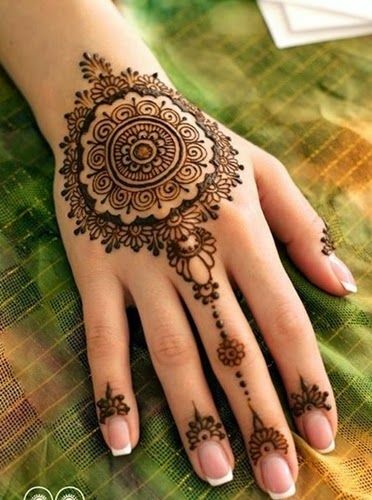 Even more if your hands are decorated with gorgeous mehndi designs apt for the season. 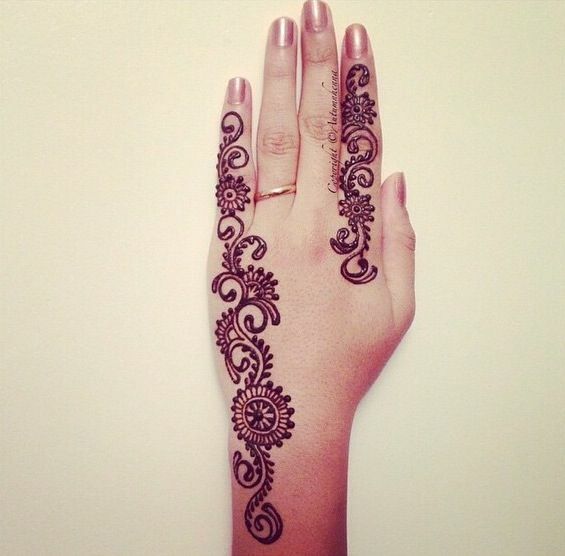 Take a look at simple mehndi designs perfect for this season! Weddings in India are pretty much the same all around the year, there are a few crucial things that need to be revisited or done away with, when it comes to summer weddings. The gher of your lehenga in complete net, for instance, will have you cooking inside your outfit in no time. As you make these changes in fashion, take them a step further to mehndi, so that it completes your outfit and you look as gorgeous as you do even in a winter wedding. 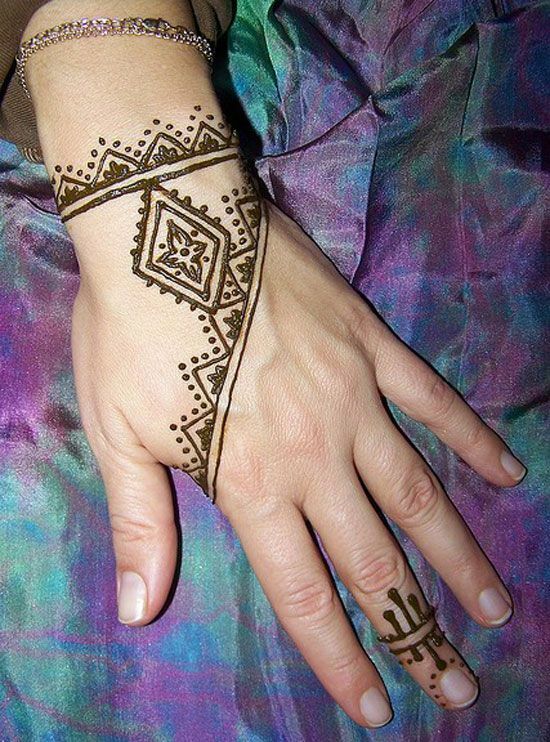 When it comes to simplicity in mehndi, our thoughts immediately turn to Arabic mehndi designs. 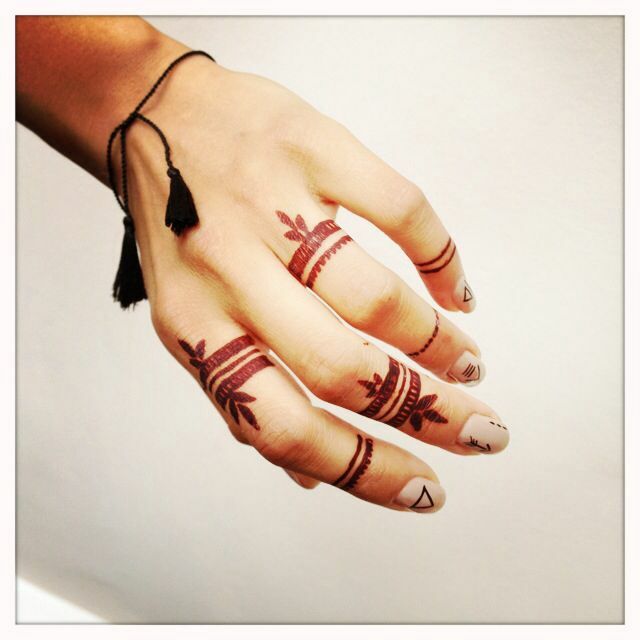 Even basic Arabic mehndi designs can glam up your hands beyond belief. 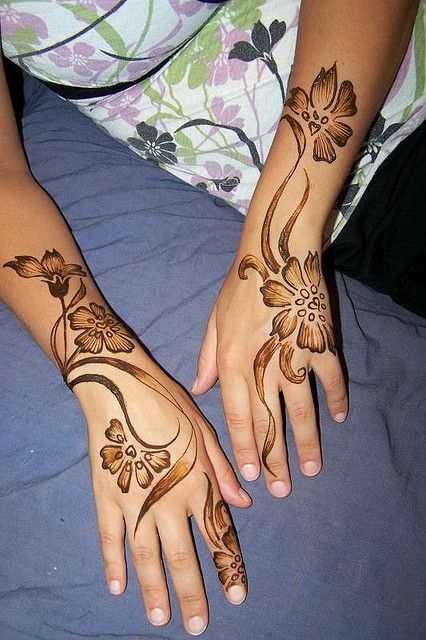 When it comes to Arabic mehndi in the summer, choose to use only your palm as a canvas, to make the effect minimalistic. 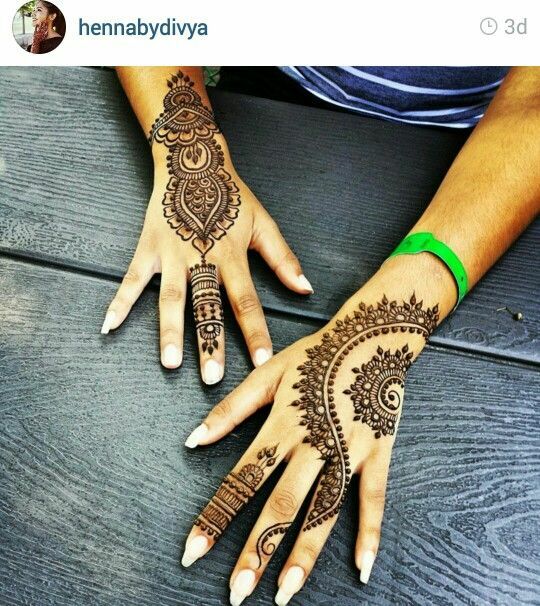 Using elements like ‘rings’ around your finger tips, can really give your mehndi design a twist. 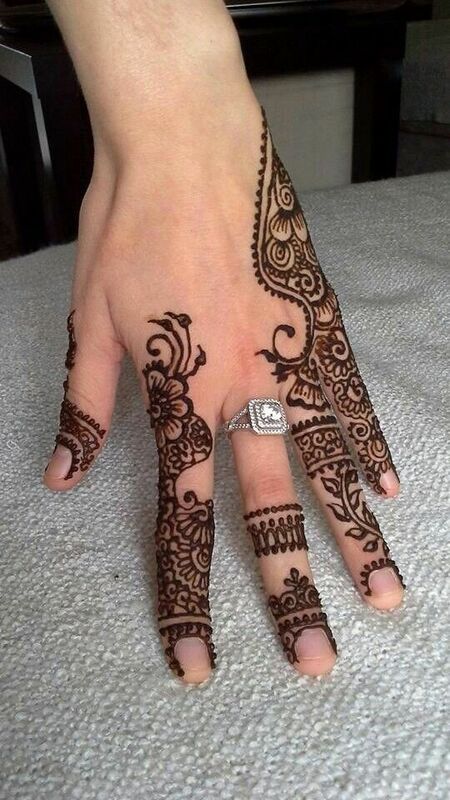 A few added Indian elements like mangoes make your “Indo Arabic” mehndi good to go! It provides a lot of scope for experimentation and is considered an appropriate choice whether you are a close friend or a far off relative. Abstract mehndi designs may be difficult for the aunties to digest, but boy, do they look stunning! They are great if you are attending more than one function at the wedding. These are the kind of designs that will fit in with a slinky designer saree, and a traditional half sari. They allow so much versatility in your choice of dress! The best part about these designs is that they give your hands a lot of space to breathe. Gone are the age old beliefs that mehndi should cover every inch of your arm, abstract mehndi allows you to experiment not only with the elements but also with the placement. 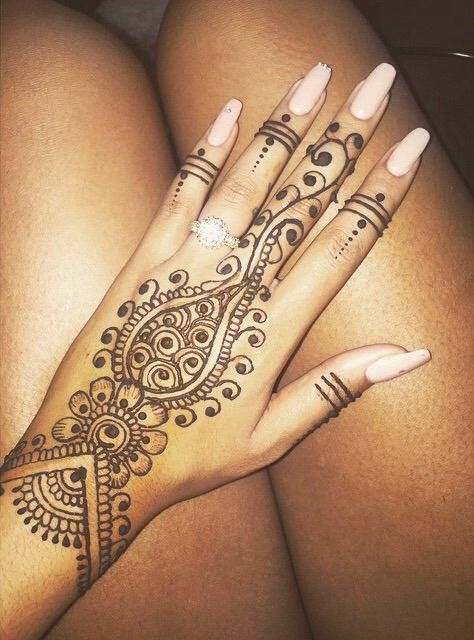 Moroccan mehndi is one the largest growing trends in the world of mehndi lovers. 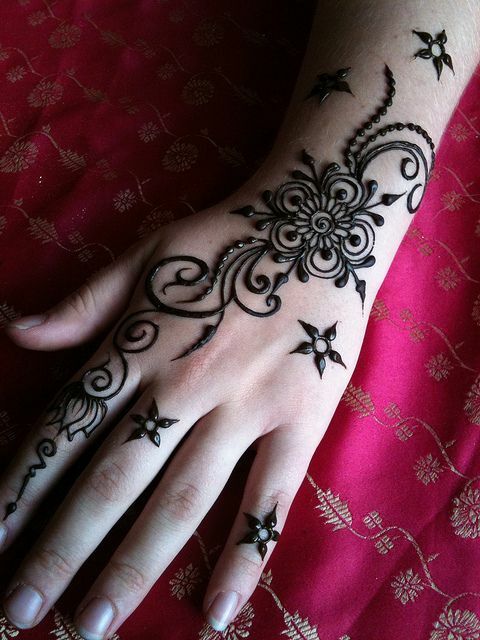 Not to be confused with Arabic mehndi, it provides a lot more structure to your mehndi. 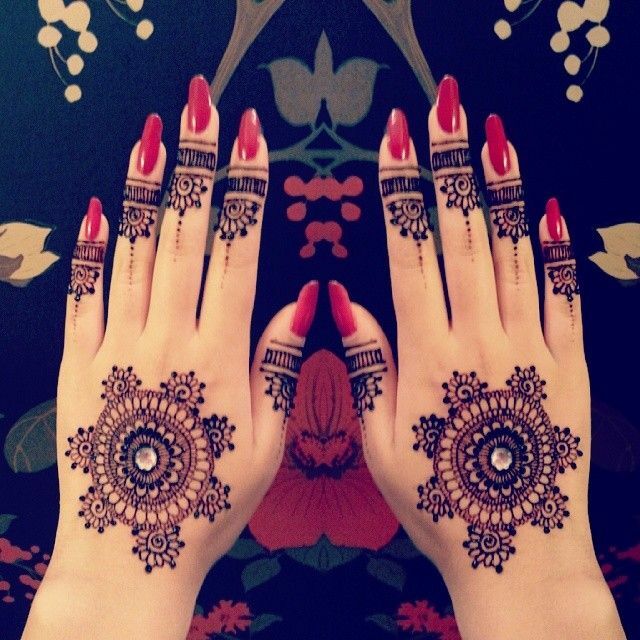 Where Arabic mehndi is made of creepers and flowers, Moroccan mehndi is more geometric in design. The effect is very modern and different from the other been-there-seen-that Arabic designs. The trick is to wear these designs right, don’t go overboard with the design and do your best to keep it simple for the perfect effect. This type of design also gives you the freedom to experiment with your clothing, so if you have some funky Indo-western outfit in mind, go for Moroccan! No matter what kind of mehndi it is, the attention will go to your nails. So before you go for the mehndi ceremony or pick out a design, make sure that your hands are neatly manicured and painted. If you are attending multiple functions for this wedding, go for a French manicure that will work with everything. Or else, choose something fun and pop, like a peach or a mint shade to rock your mehndi with.